Not the note you want to see on the refrigerator in the morning before a busy work week. Now what will you bring to work. Thanks Jeff! Geez. All the kids love the animated gif images these days. 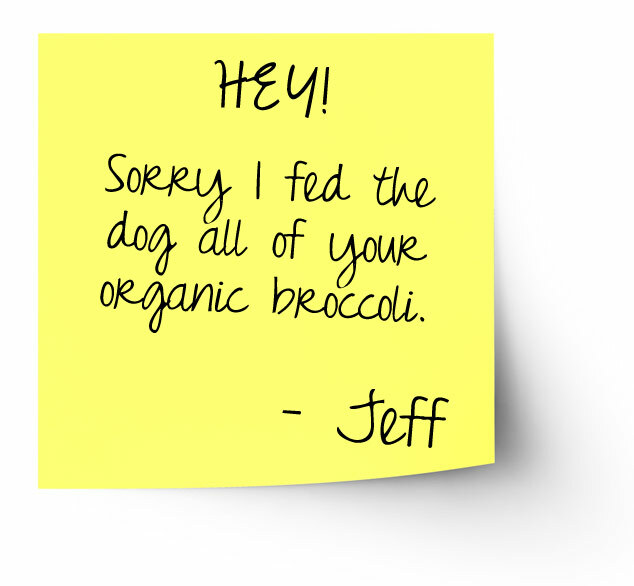 We’ll assume Jeff is a roommate or a husband.